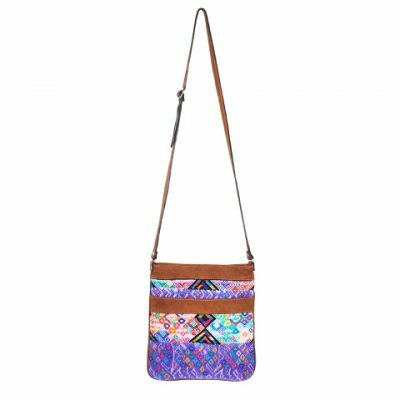 Whether you are strolling through the city, at a festival or on your way to the office, our trendy ethno shoulder bags are a real eye-catcher. 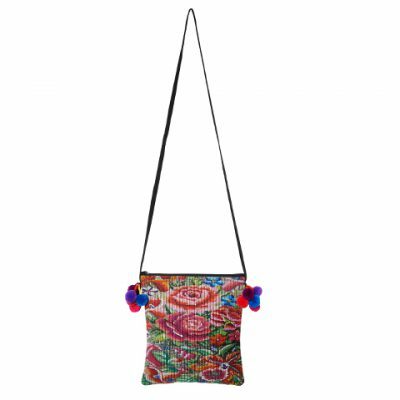 If you only need small things on the way, you will love our compact and stylish ethno shoulder bags! 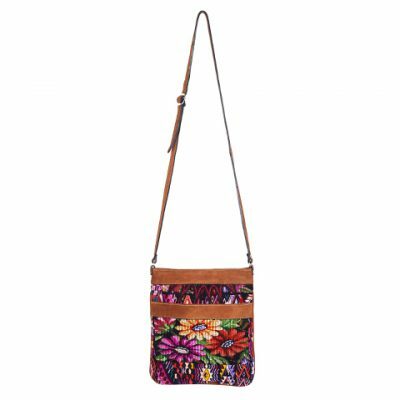 In contrast to larger handbags or shoppers, you never have to carry heavy and your hands remain free! 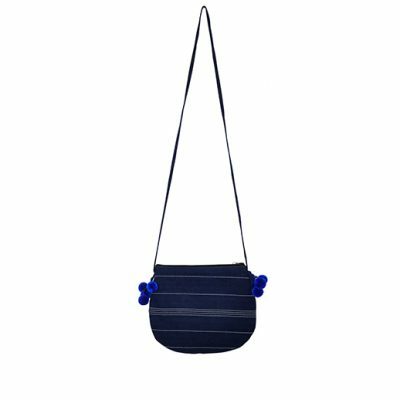 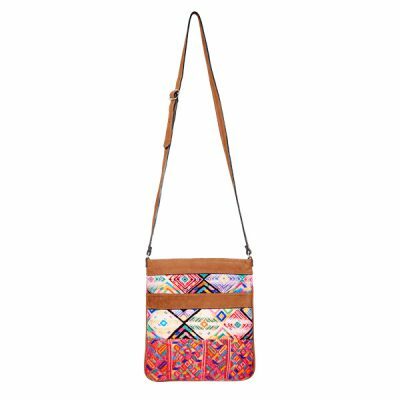 MARYSAL ethno shoulder bags are very spacious; it fits in surprisingly well and you can wear them easily cross-body or as a shoulder bag. 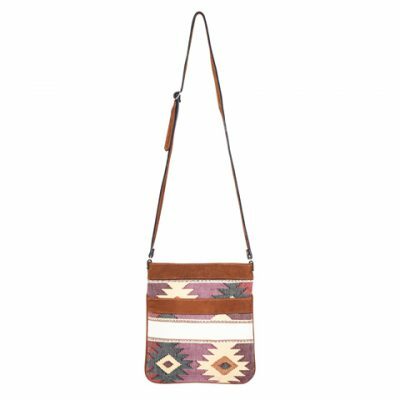 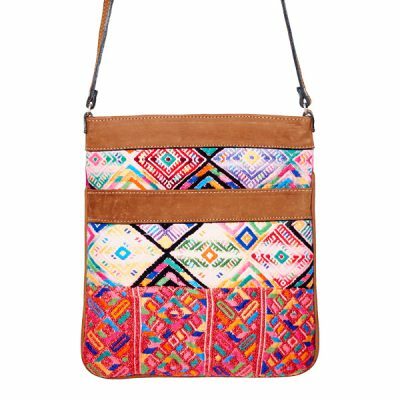 Our colorful ethno crossbody bags are real all-rounders and can be combined in many ways, e.g. 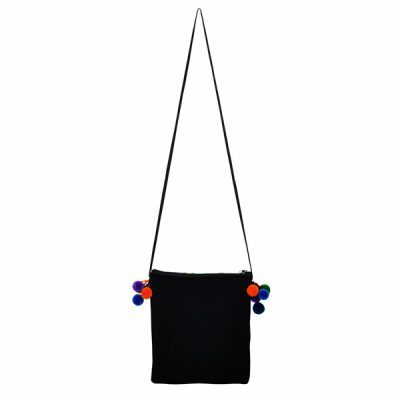 to your everyday look, casual to a festival outfit or as a color accent to a black outfit. 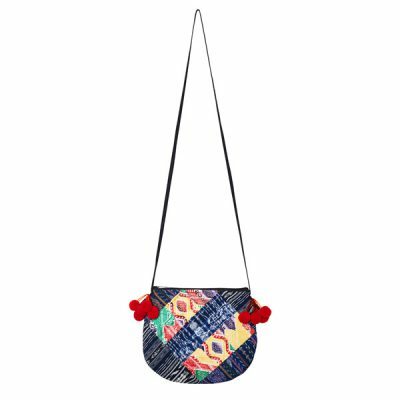 Discover our ethno shoulder bags & be unique! 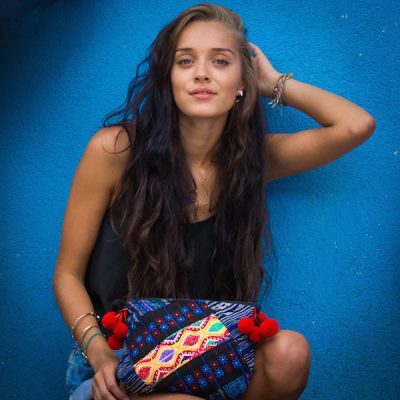 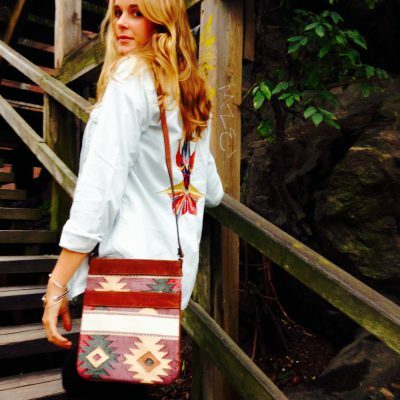 All MARYSAL bags are made sustainably and fairly from upcycled handwoven fabrics by Maya Indians in Guatemala. 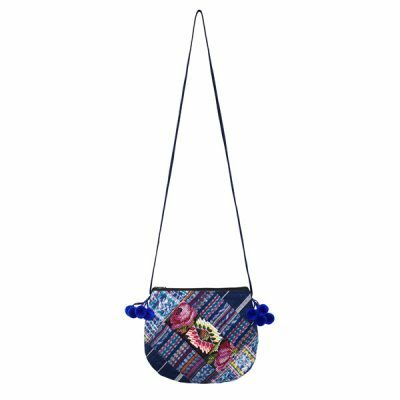 Each bag is lovingly handcrafted and unique. 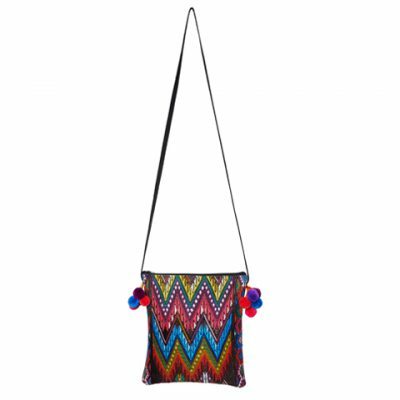 Our ethno shoulder bags “Comalapa” and “Huipil” are made of handwoven fabrics combined with soft nubuk leather. 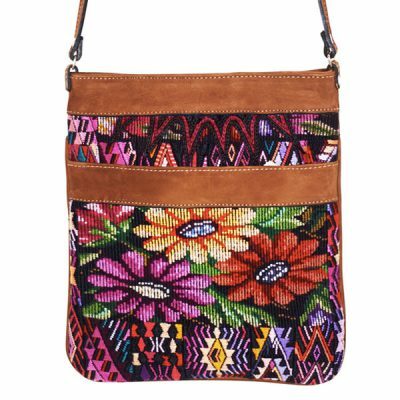 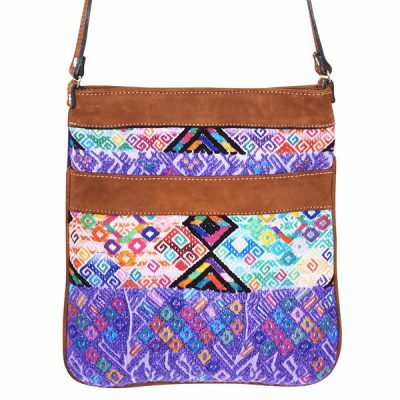 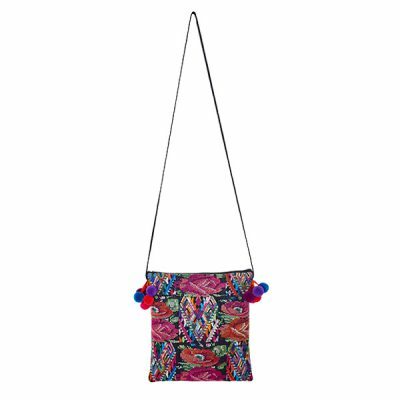 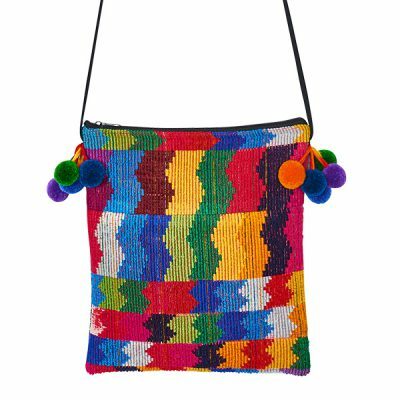 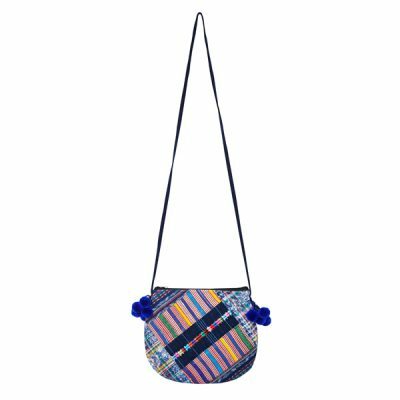 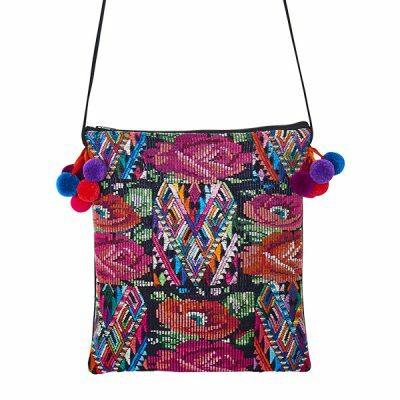 Our crossbody bags “Pompones” are made of Guatemalan handwoven fabrics featuring trendy multicolored pompoms.